I waited around… unable to concentrate on anything else for more than 10 minutes because I would be looking out the window!!! The contract. Half in Korean, half in English. 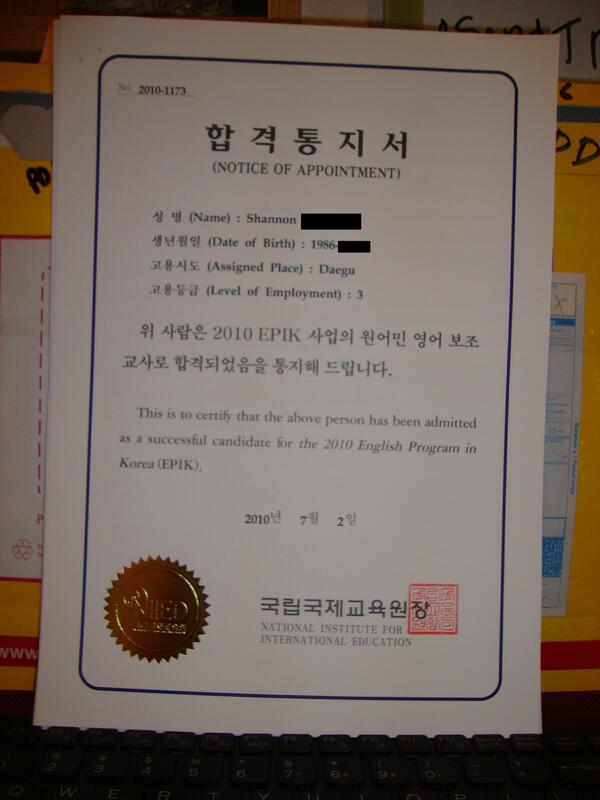 EPIK information. 5 page packet with lists and websites about getting ready. 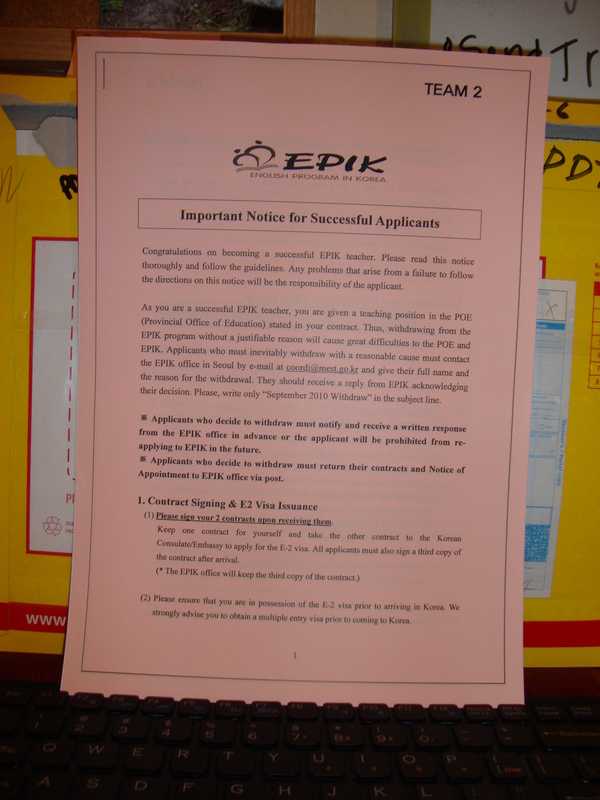 So the waiting game is over for receiving real documents from EPIK! Yay! I am just so anxious to see how this all pans out. 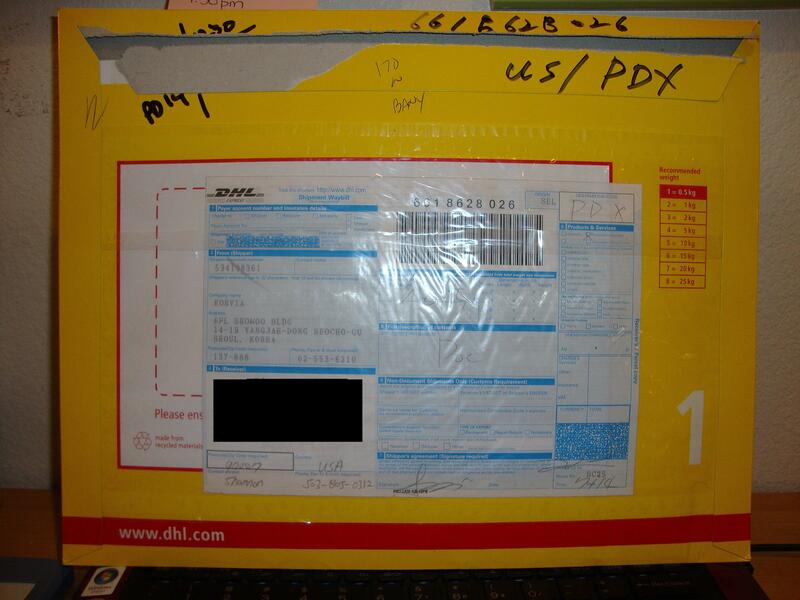 There was some confusion with my contract and the salary- but that will be cleared up at orientation. Thanks to Joyce for all of her efforts! Hooray! 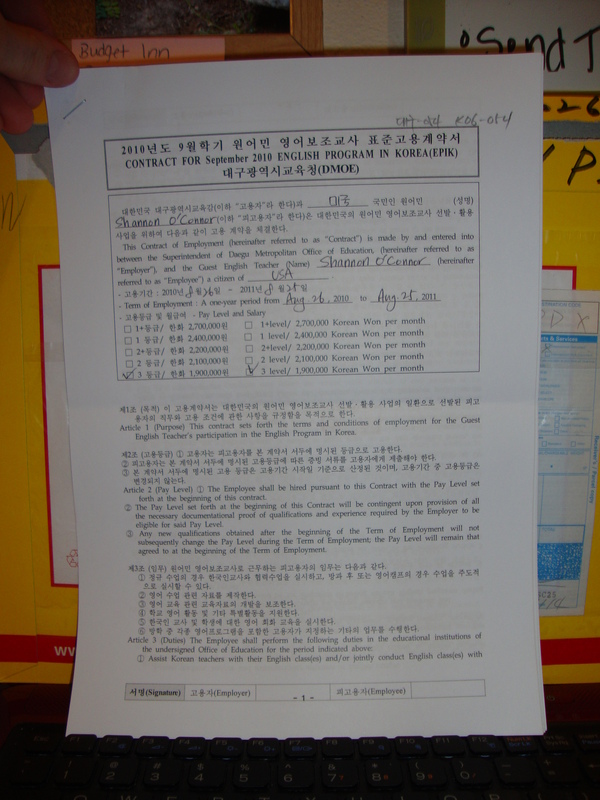 Up next…filling out the Visa E-2 application. This is confusing. 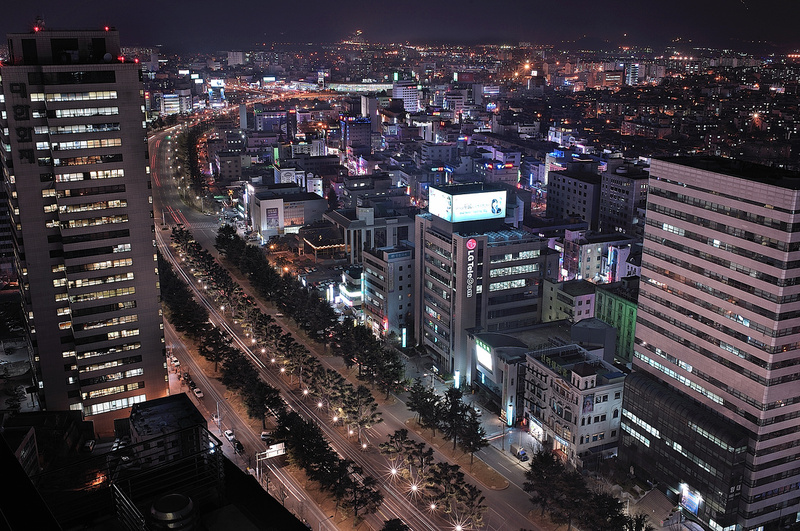 Now that we found out we are going to Daegu, I have been doing a lot of research on the area. It seems really vibrant and beautiful! I found a cute video, it just strolls through Daegu- a quick snap shot!